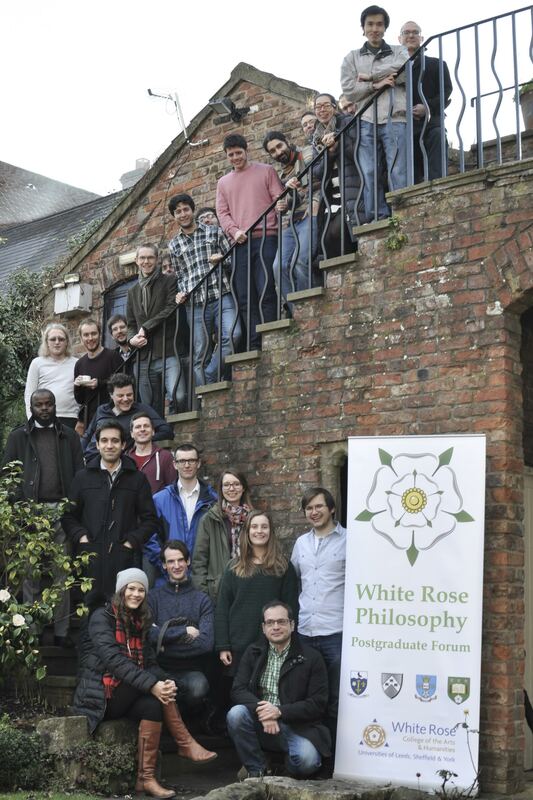 The White Rose Philosophy Postgraduate Forum (WRPPF) aims to foster research links between the Philosophy postgraduate communities of the Yorkshire Universities of Hull, Leeds, Sheffield and York, as well as to develop their members’ research skills. The forum typically meets three times per year. At each meeting, postgraduate students from each member university present papers to, and receive feedback from, an audience of fellow White Rose postgraduates. Although specifically aimed to an audience of postgraduates, these meetings are also open to undergraduate students, academic staff and members of the general public. Occasionally, the forum organizes additional training meetings designed to benefit members of its constituent postgraduate communities. In addition to this website, the forum has a wide reaching community on Facebook, feel free to join the conversation by following the link and clicking ‘join’. The forum was founded in 2011 and to date, meetings have been funded by the York Humanities Research Centre, the University of York Graduate Students’ Association, the School of Philosophy, Religion and the History of Science, at the University of Leeds and Hull University Philosophy Department (among others). As of 2014-15 meetings are generously supported by the White Rose College of the Arts & Humanities. As part of our commitment to encouraging attendance and participation at the forum, travel costs from non-host universities to Forum events will be reimbursed, and the cost of lunch (up to £10) will be reimbursed for conference participants. This intends to remove any barrier to attendance for students from across the region. There is an upper limit of £25 for reimbursement of travel costs – although this is subject to consultation with your university representative. To download a copy of the expenses form, and for details on how to complete it please go here.